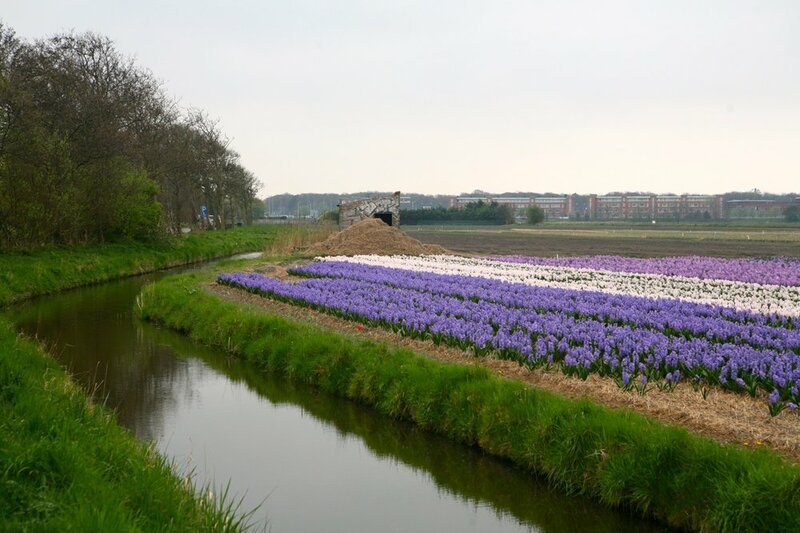 For shear boldness, color, and fragrance, it’s hard to beat a visit to a Dutch bulb farm during the flowering season. Weather determines the natural cycle of the process and thus the optimal time to visit. These past winters show that this can be hard to predict, for spring has been coming either later or earlier than ever. I was lucky to be get the timing just right for a drive into the fields during the few weeks when the bulbs were blooming. I chose to explore the farms near the town of Lisse because this meant that I could also stop by the world-famous bulb garden, Keukenhof. Given my schedule, I ran out of time to join an organized tour, so with no real directions I set off on my own. 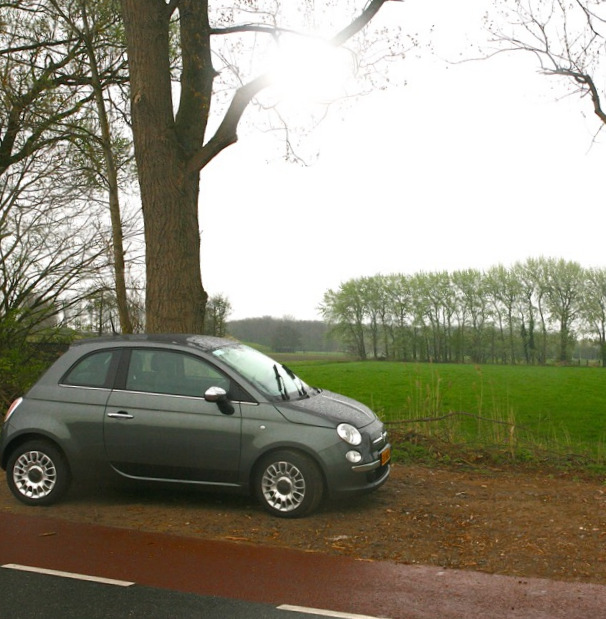 Fortunately a few colorful fields were visible enough from the main road to show me where to pull off. Once down a small rural lane, the fields opened up, and I could see small groups of tourists like me forming a long chain into the distance. Based on where the people ahead of me stopped, I slowly made my way through this wonderful landscape. This was all to the annoyance of the local farmers who want to protect their crops and to have some privacy from prying eyes. I know because one chased me from the road. My Dutch was too poor to understand the details of what he said, but the universal language of arm movements and the pressure rising in his face made his point clear. Wild tulips, native to Turkey, Siberia, and China, were first cultivated and hybridized by Ottoman Turks. Carolus Clusius is considered the person responsible for bringing the tulip to Holland. He set up a botanical garden at the University of Leiden in 1593 and was a pioneer in the establishment of botany as separate from the study of medicine. He studied plants for their beauty and wrote about them in books with wonderfully evocative titles like Hispanias observatarum historia (1576) and Rariorum plantarum historia (1601). Tulips also became a popular subject for painters. For a time, a painting of a tulip was cheaper than a live plant. Not true today. This Ambrosius Bosschaert the Elder still-life of tulips recently sold for nearly $5 million. 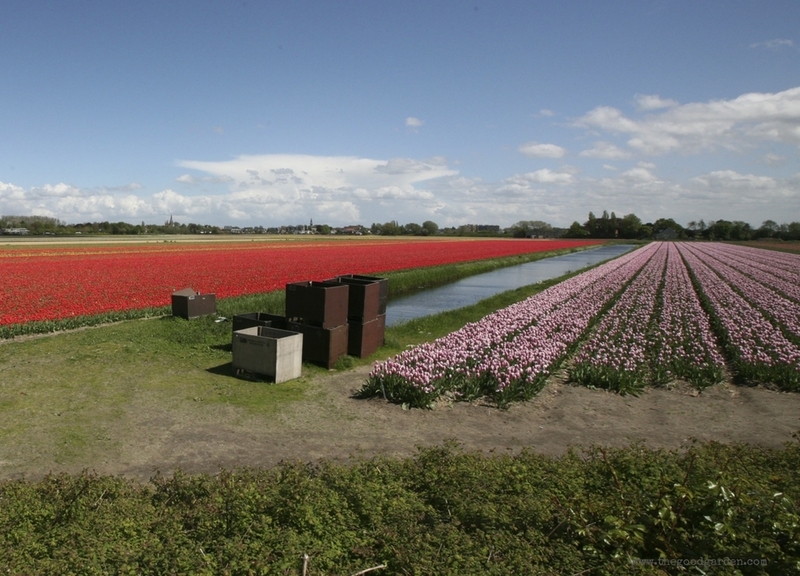 Today the Netherlands are famous for their flowering bulb industry. Holland’s cool springs and moist, well-drained soil are perfect for growing bulbs. Farmers here produce over 4 billion bulbs each year. And thanks to their efficiency, we can enjoy bulbs for less than $1 a piece. Cultivating flowering bulbs is like growing garlic. Small buds from last season are planted in the fall. By springtime, these buds will have grown out enough to send out leaves and eventually flowers. In the summer, bulbs are harvested. Large bulbs are sold to consumers and the small buds are replanted in the fall to create more flowers the next season. A tulip grown from seed will take 4-6 years to bloom. As I wait for the many daffodil and allium bulbs that I planted last fall to emerge this spring I am reminded of the incredible fields where they came from. Thank you farmers! Check out the largest flower garden in the world, Keukenhof.